It is currently -16°F in the Twin Cities (actual temperature). It feels like -40°F. No joke. My dog won't even go outside. So we have spent our Sunday on the couch under a warm faux-fur throw blanket...shopping online. I found so many great sales I decided that I had to share them with you. Express is currently having their "End of Season" sale and you can find items for 70% off. I got the shoes for an additional 30% off of already reduced prices, jeans for 40% off, and jewelry is buy-one-get-one 50% off. By texting "Inspire" to 397-737 you can get additional savings codes and by signing up for email you can get 15% off of your entire order. What are you waiting for?? Go shop! Get $20.14 off your order of $99 with the code: SHOES2014 at checkout. I love the Audrey Brooke flats and already have them in black. They remind me of a much more expensive designer version and are extremely comfortable. I had to go for the booties because it is cold in Minnesota! I need more winter styles that cover up my feet and are practical enough to walk on snowy sidewalks. Luxe Auctions showcases jewelry, clothing, and accessories on their Facebook page on Wednesday and Sunday evenings. Check them out! They have great pieces for a fraction of what you would pay in boutique stores. 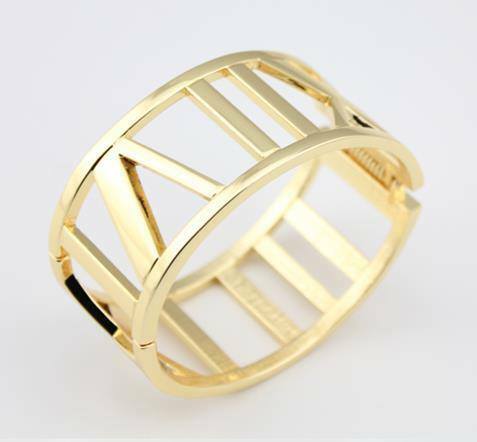 I got this adorable Roman Numeral Cuff at a 32% discount with the code: BLIZZARD32 at checkout.